 73% of our HS students took at least one AP course in SY 201617.  In 2017, 209 students took a total of 425 AP Exams. Students design and lead over 20 school service clubs that help our local community in a wide variety of ways, build leadership skills, and obtain required service points towards graduation. Balboa Academy offers SEL (Social Emotional Learning) to all students and their parents. We are the Liaison between the school and outside professionals. Additionally, HS counselors provide assistance to our college-bound students to support selection, applications, research, and scholarships to help students with these important decisions. The graduating class of 2017 was offered over $4 million dollars in scholarships. Robotics began in the High School as an afterschool club whereby students in grades 9 to 12 attended robotics classes with STEM Panama to prepare for the World Robotics Competition. Our students have competed in Panama, Costa Rica, and have traveled to India. The club also held afterschool robotics training classes, free of charge, for Middle School students. SY 2017-18, Robotics became a part of a Hardware Computer class and became a semester course, in January 2018. The Balboa Academy Executive Internship Program meets the academic and professional challenges of the 21st Millennium by providing its students with real-world experiences, in a career they plan to pursue. Students from Grades 10-12 practice team work, present innovative ideas, and understand the importance of professional conduct in the work place. The program has had two successful internship session in January 2017 when 12 students worked with nine companies for two weeks. In July of 2017, 32 students and 19 companies participated in a 4-week internship experience. Balboa Academy Executive Internship participants are in high demand by major international companies. Both students and sponsoring companies have benefited from the internship program. Free after school academic tutoring is available daily to our students, K-12, upon request by the classroom teachers. All grade levels insure that our students will be successful and prepared for the next school year and beyond. Our teachers work closely together to address our students’ special learning needs while maintaining rigor and relevance to our curriculum. Honors and support classes are offered, inclusive support in the classroom is provided, and the general education teacher provides ongoing differentiated instruction to support all learners. 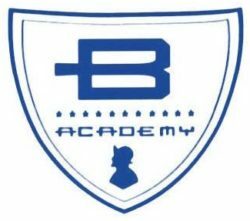 Balboa Academy has designed a structure across all grade levels K-12 to provide a sense of belonging and community among our students, as well as build leadership skills. Students at the ES belong to “Color Teams”; Middle School students belong to “Dragon Tribes” and the HS students belong to “Dragon Houses.” These structures are cross grade level, therefore joining students together who would not normally interact together. Monthly team building activities encourage character building, communication, compromise, and acceptance. As a result, our school climate is known for being nurturing with students that honor each other for their different and individual abilities, cultures, interests and dreams. Balboa Academy Student Council are present at each school. At the HS level, a representative from each HS Dragon House forms the HS Dragon Student Council (DRACO) which plan and approve all HS events throughout the year. The Middle School Student Council members are elected by students and attend the Student Leadership Conference yearly. They serve as Master of Ceremonies at school functions, ushers, fundraisers, planners and organizers for school activities. The Elementary School Student Council elected members work to organize a variety of charity organizations throughout the school year, to include Toys for Tots and food drives. Balboa Academy has the largest English Language print children’s library in Panama. Our media specialists work with classroom teachers to instill a lifelong love of reading as well as learn the values of incorporating technology. Students attend scheduled Library time with instruction and introduction to quality reading material as well as internet and research responsibilities. Some of our Course Offerings and Electives beyond required courses include Art, Music, Computers, Language, Debate, Digital Photography, Video Production, Philosophy, Studio Art, Psychology, Environmental Science, Marine Biology, Graphic Design/Animation, Honor Classes, AP Art History. These focused activities expand our classroom beyond our buildings into the real world, with experiences that occur in Panama and include extended trips to other countries. The trips are educational in teaching cultural, environmental, and social awareness. We recognize the need to assess our students’ progress and needs based on a variety of information. We have designed our Assessment System to include information on our students’ performance through standardized assessments (MAP), curriculum and subject area assessments, teacher-designed assessments, and evaluations. Informed decisions are made regarding student needs are based on this broad base of information. We built a new Turf Field for use by our own students and the community as well. Physical Education teachers instruct our students using the well-respected SPARK Physical Education Curriculum Program. We attend International sports competitions. We offer a wide variety of after school, extra-curricular activities. We recently acquired a highly regarded ES reading/language arts program (called Reading Streets) which is common core aligned, is scaffolded across grade levels, and provides support for ELL and SPED. We also provide online academic supports to students to support practice and reinforcement aligned with classroom instruction. Our students, PreK-4, experience a hands-on laboratory experience for one hour weekly with our science coordinators. These labs utilize the highly regarded FOSS program which follow the Next Generation Science Standards. This science program connects the coordinator with the classroom teachers and supports our STEM commitment. We also have a comprehensive school wide STEM Fair each spring. Our Special Education department includes team decision making that includes students and parents as well as school personnel when deciding academic, behavior, social, and emotional planning for our students. Our specialists provide inclusive support in the classroom alongside general education teachers, small group tutoring models of instruction, and individual monitoring and support when appropriate. Our specialists plan weekly with our classroom teachers to provide and monitor ongoing progress and adjust support as indicated. This program supports those qualified students in grades 2-6 through instruction twice a week in a cross curricular, project based instructional focus. These students are also instructed in executive functions such as organization, communication, group learning. We offer support for our students who are learning English through our English Language Learners Program (ELL) with ongoing assessment, placement in support classes, and support in their regular classrooms through co-planning with general education teachers. We encourage immersion and opportunity in the most natural setting possible to develop both the social and academic proficiencies of our students. Spring Stage Performance and Production is produced by HS Theatre Club and teacher sponsors resulting in an amazing, professional play yearly. The PTSO is an extremely valued part of the Balboa Academy family. They work alongside teachers, administrators, and students to enhance and support our school daily. They produce the Dragon Fest, support the Talent Show, Escuela para Padres (public service guest speakers), provide much anticipated student activities such as Dragon Fest, and each year they generously contribute requested materials and equipment that support student safety and learning. Year after year, Balboa Academy students consistently exceed both United States norms and Panama norms on the Measures of Academic Progress (MAP) standardized assessment. This is true for all three subject areas: Math, Reading and Language, grades 1 through 9. Our Student Management System connects families and school with regards to academics and events through technology. It has greatly increased our level of communication together with regards to student success. We are committed to providing training and continuous education to our entire staff. Our teachers must complete six credit hours of coursework every five years. We provide on-site training for all staff every Wednesday throughout the year. We provide funding for approved conferences, out of area trainings, and extended degrees. Our trainings align with our current school improvement goals and long term strategic planning. Our school is fully accredited by SACS through AdvancED Accreditation Agency. AdvancED reviews our improvement and growth every five years with a thorough on site review and follow up recommendations. Our partnership with AdvancED has been beneficial and mutually appreciated.